Well, today is the day that I release “MY STORY” to the entire world. That’s not nerve racking at all. (That’s really a joke) I’m sure you’re laughing right now as you are imagining your story being told to the WHOLE world. ha ha!! Okay, I’m not going to share my whole story here on the blog, but I do want to share exactly what happened in preparation to record and release “MY STORY”. As many of you all know, we are nine episodes in to Life in Purple. Most of these have had very little technical difficulties. But there was something to episode “NINE”. You see, a few months ago, I tried recording my story in the comfort of my own home. My closet to be exact… This was really the only place quiet, since I have two “live out loud” kids and a house that echoes. I lost count after twenty “start over’s” and “pauses”. So I figured it just wasn’t time for me to tell the whole world yet. Instead of getting frustrated, I moved forward. The whole team moved forward. We’ve had several guest’s on the show and moving our way up on iTunes. Woo Hoo!!! Things are really moving forward and we are ALL EXCITED!! Three weeks back, one of my producers said to me, “Laura, I think it’s time for you to share your story. I believe the listeners are ready to hear it.” I responded quickly, “You are right. I’ve put it off long enough”. So we had our master mind chat and broke it down into five parts. It may seem like a lot, but really it helped me put an order to things in my head. Not a big deal so far…. Until, I went to write my story out. The very first paragraph, I relived my past, Physically, Mentally and Emotionally. What that means is I experienced dry heaving, uncontrollable crying, headaches, cramps (I wasn’t even on my cycle) diarrhea and sadness about the little girl living inside of me that had never recovered from the words “don’t tell anyone”. Even now, those words cause me to be teary eyed for the many other kids who hear those words. I recently found out that 1 in 5 children up to ages 18 are physically or sexually abused. More awareness needs to be made to prevent child abuse. Twelve pages later, my story is ready to record. And it was a huge success. We conquered. We celebrated and quite frankly, I was relieved. I finally released my story out in the open. Only…. a few days later…. I found out that the computer crashed and the episode didn’t save. Not a big deal, so we re- recorded it… This time, the same energy was there in recording, but we had to go back and forth between two computers, and save every 5 to ten minutes. Still moving forward, We FINALLY had it completely saved. On to the editing process. This was simply the frustrating part for my producer. Again, the computers were running slowly or the lovely spinning ball of death would appear. In case you haven’t noticed yet, i’ve attempted to record “MY STORY” on three different computers now. At this point, I had to physical options: laugh or cry. I laughed. I knew God had called me to share my story, so I believe this was only a trial of faith. What a Glorious thing a NEW COMPUTER can be!!! Hallelujah!! The final edit is complete and “MY STORY” is FINALLY released TODAY!! The lesson here, I believe is “persistence”. We all could have easily given up but WE DIDN’T! I forget to mention amongst all of the Technical difficulties, I got stuck on an elevator. FOR FIFTEEN MINUTES. WHICH SEEMS LIKE A LIFE TIME WHEN YOU ARE CLAUSTROPHOBIC!!!! Just saying…. HA! HA! Sadly, my Phone was not on me so I had to use the elevator phone, which I wasn’t sure if would actually work. Thank God it did!!! OF course I had to be assisted out of the elevator, but I came out unharmed. WOO HOO!!! 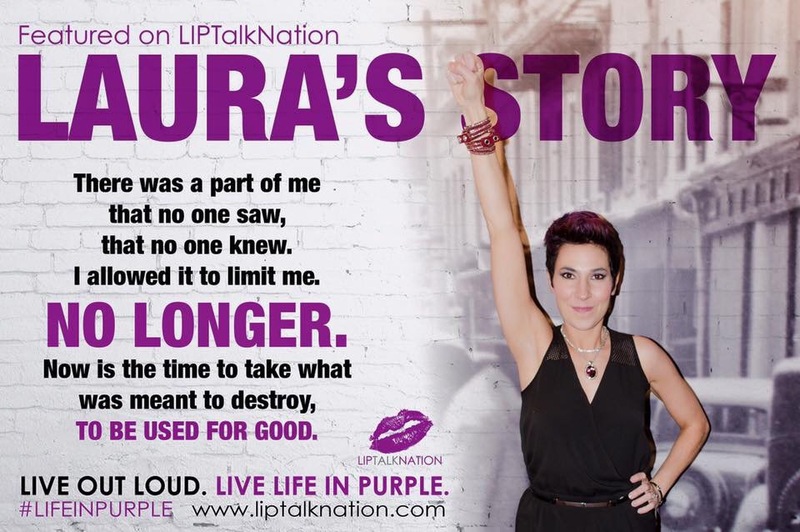 LIPTalk Nation, I hope you get a chance to listen to “MY STORY”. Not for the sake of me, but for the AWARENESS that needs to be raised for child abuse. This episode explains how I conquered my past and depression. Please use this episode as a tool for you someone you know and love who have also been a victim of child molestation or any kind of child abuse. If we all would start talking about it more, it would happen less. It’s as simple as that. The first step to healing is Choosing to want to get better. God wants you to heal. You are fearfully and wonderfully made. If you are not dealing with your past, you are CHOOSING to relive it everyday. MY ask is that you gather your support system as you begin to heal.